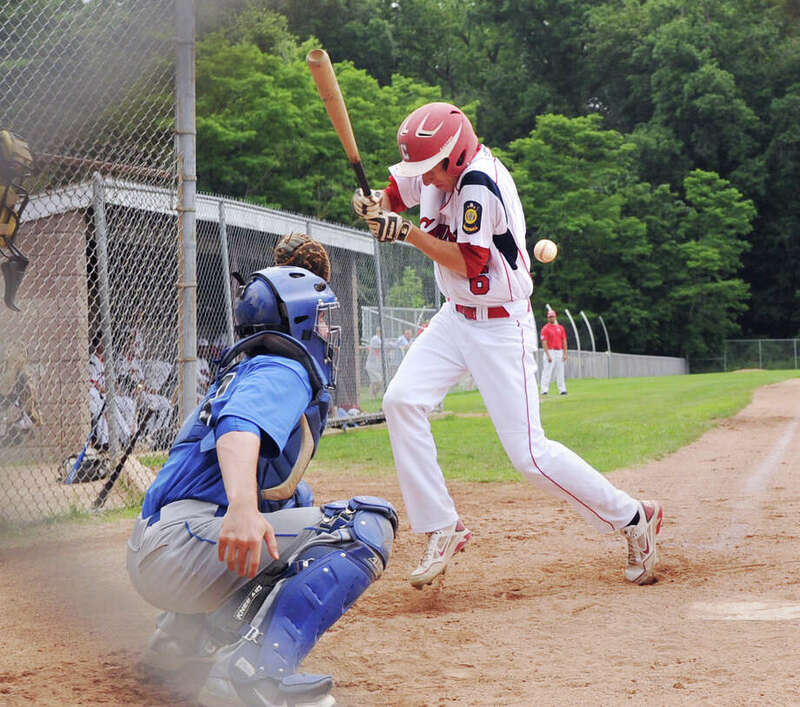 Pitching depth is the key if a team wants to make a run deep into the Senior American Legion playoffs, and by the looks of things, the Greenwich Cannons have the kind of depth most teams covet. Brian Schutzman pitched a two-hitter over six innings, striking out 11, as the Cannons rolled over Darien/New Canaan 9-1. Schutzman walked the first two batters of the game before allowing a RBI single to Carl Stowell but settled into a groove after that, allowing only three more baserunners the rest of the game. "In the first inning I came out there a little bit off my rhythm," Schutzman said. "As the game progressed and the innings went on, I got back in my rhythm and was able to throw strikes and just pound the zone." Schutzman has been tinkering with his curveball recently and seemed to have it working Tuesday, freezing several hitters en route to striking out seven guys looking. "I think from my last start my curveball was definitely on. Coming out of the high school season and into summer my curveball has been a lot more effective, sharper and better command," Schutzman said. "It's great to know I have that go-to pitch." The Cannons (8-2) answered back in the bottom of the first when Cam Fennell drove home Brendon Hardin with a single to tie it 1-1. Fennell finished with two hits and two RBI while Hardin reached base all four times he came up, scoring twice. Hardin scored again in the third after walking and stealing two bases before being forced home on a bases loaded walk to John Mills. With Schutzman rolling, the Cannons finally got the bats going in the fourth starting with a triple by Matt Pruner, a RBI single by Steve Monick and a double by Hardin. Fennell drove in Monick but Hardin was cut down at the plate trying to score. Matt Henkel then brought home Fennell with a double. Head coach Mike Abate was pleased to see his team get the bats going after struggling to get big hits early on in the season. "We were struggling with the bats a little," Abate said. "Our big hitters were not really hitting for us but they are going to come around and we have faith in them. This team can be very dangerous. We are 8-2 and we haven't really hit the ball the way we are capable of hitting so it was nice to see those guys start to hit today." Greenwich kept hitting in the sixth with Ricky Okazaki plating two with a double as the Cannons added four more runs to put the game away. Abate was also happy to see Schutzman settle down after the rough beginning. "In the first inning we kind of gave them those runs," Abate said. "He came out and he was trying to settle in and get a feel for the game. A couple walks hurt us. These guys have been pitching well all year and we pride ourselves on not walking anybody, pitching well and playing good defense and once he settled in the bats took over."